Twilight Time is out with The Roots Of Heaven on limited edition Blu-Ray ("3000 units"). 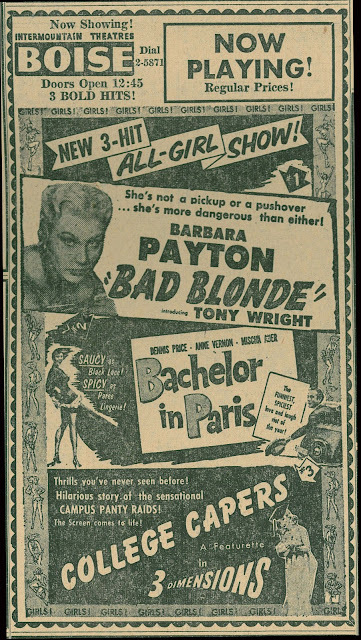 This 1958 Fox show in Cinemascope/Stereo might as well have been silent-era nitrate for access we've had to decent presentation these fifty-four years since release. How could anyone fairly judge Roots till now? Last night was my first view, having avoided pan/scans and red print survivors from the hoped-for blockbuster on which 20th spent three million (independent producing Darryl Zanuck said at the time it was closer to four), then saw grievous loss of $2.6 million during a year when all Fox output seemed snake-bit. 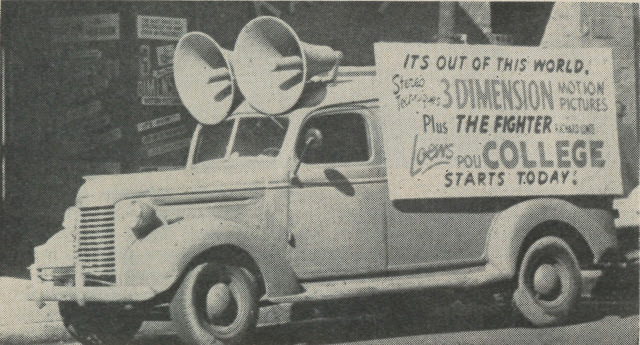 How many big-studio pics began as roadshows and ended with less than a million in domestic rentals? Roots' failure was 1958's most horrific for Fox, even worse than The Barbarian and The Geisha, and both were directed by John Huston. You'd think such a one-two would have all but run him out of the industry. 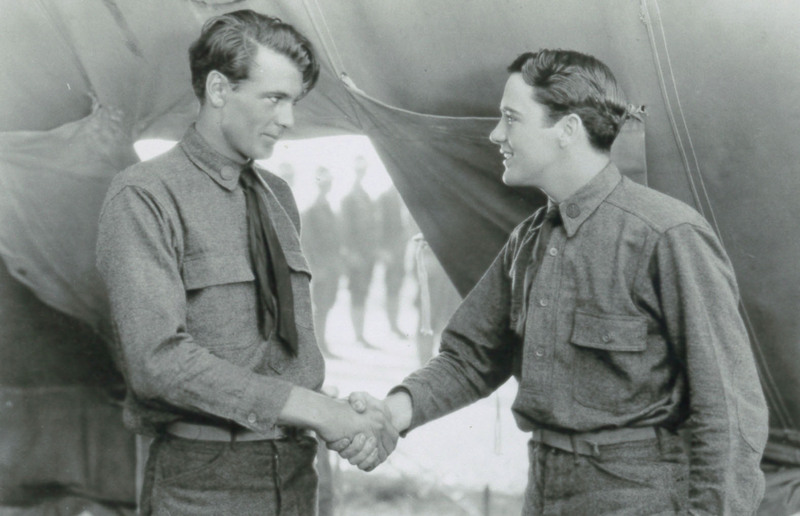 Darryl Zanuck had been exec in production charge at 20th since the outfit was mid-30's formed. He left in '56 to produce a Tiffany line of literary adaptations to beat back junk on TV. 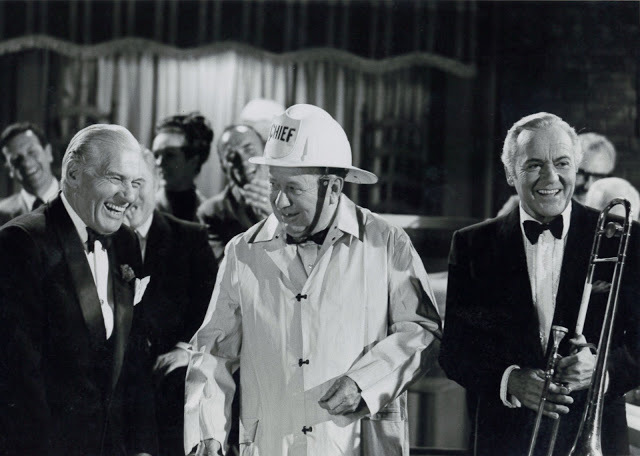 DFZ was for giving the lost adult audience a reason to dress up and attend movies. The Roots of Heaven dramatized a zealot's effort to rescue African elephants from poachers, and colonial government enablers of same. 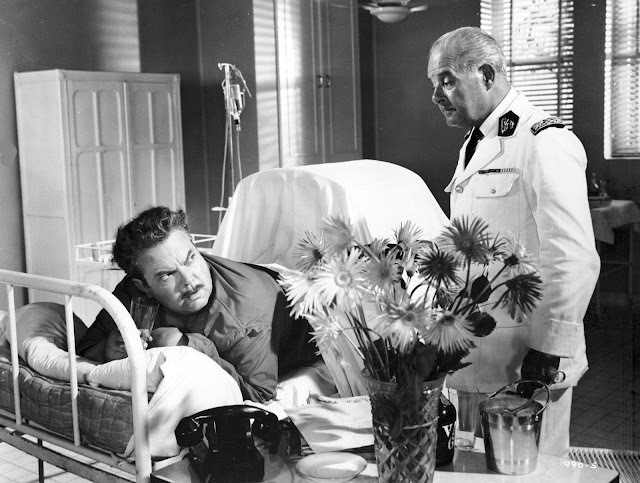 With initially cast William Holden, it might have worked, but Holden couldn't get Paramount's consent to appear, so Zanuck went with Trevor Howard, scuttling romance needed to juice a long narrative. 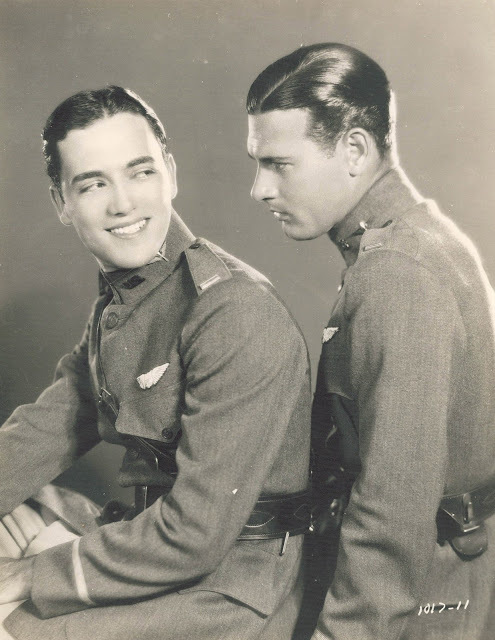 The second male lead was Errol Flynn, well past screen heroics and re-positioned as a character man for what work was left (Roots his last feature of worth). 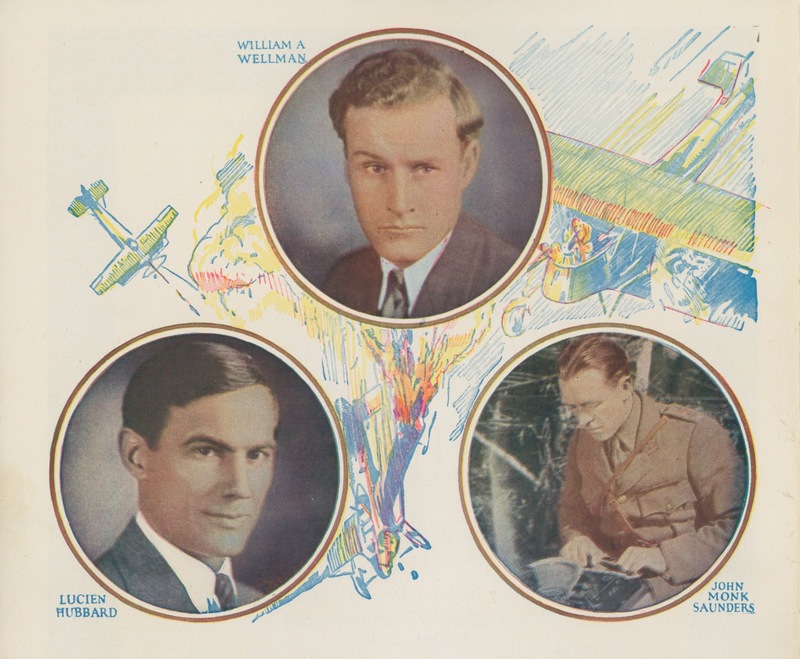 Flynn's more sad than affecting, the performance a one-note drunk act some critics and many fans figured for a glimpse of real-life Errol. 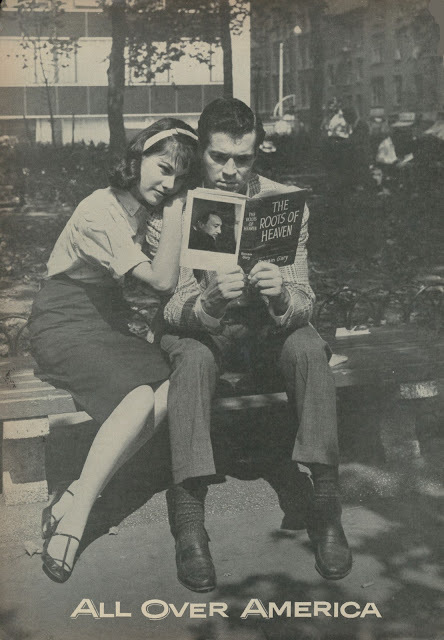 ﻿ Fox proposed to swing for the fence by opening The Roots Of Heaven on two-a-day basis with mail-order tickets. Exhibition hated roadshow policy and told Fox so. The company had wanted same season's Barbarian and The Geisha to play thus, but New York was talked out of it by powerful circuits that could spank hard should distributors persist (showmen argued that John Wayne was too much "a mass audience star" to sell on anything other than a grind basis). The Roots Of Heaven charity-premiered at Broadway's RKO Palace on October 15, 1958, taking the place of long-run The Bridge On The River Kwai, a high-adventure Roots sought to emulate, at least for promoting purposes. 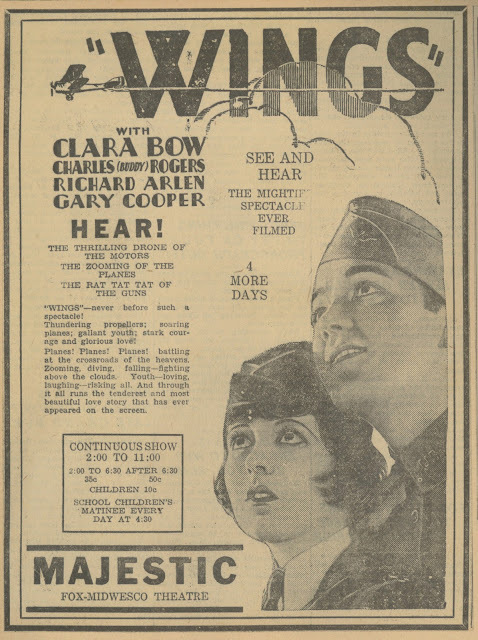 The first week was good, advance publicity having lured curiosity seekers, but attendance tumbled quick as word got round of a sluggish first half and overall paucity of action. Darryl Zanuck noted complaints and trimmed The Roots Of Heaven (extant prints are less by a few minutes from what trade reviewers saw). 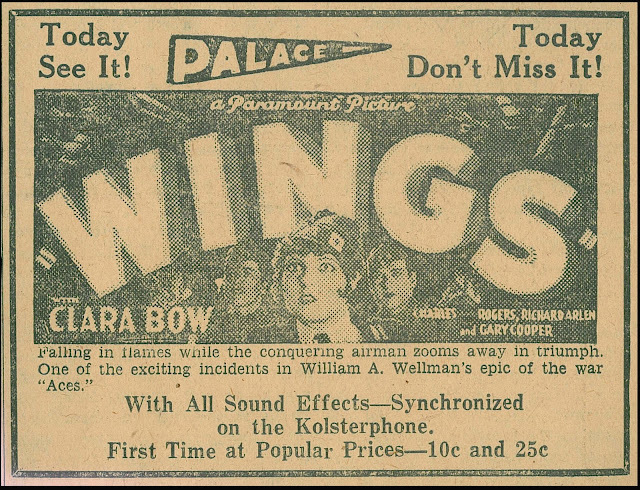 The RKO Palace hung on for five weeks of roadshowing, each frame down from ones before, then went to continuous runs for a sixth, and saw business pick up, if slightly. 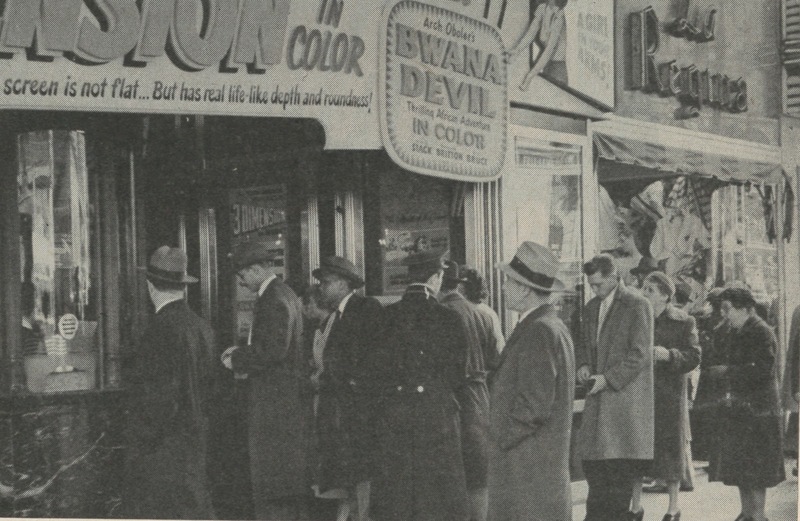 The change was made to accommodate the holiday crowds who do a great deal of their entertainment buying on impulse, said RKO theatres chief Sol A. Schwartz. By reverting to a continuous policy (and at "popular prices"), we are providing this audience with a flexible time schedule and an opportunity to see "Roots Of Heaven" at the time they want to see it. Trouble was, as word-of-mouth got round, fewer people chose The Roots Of Heaven over competing hits like Gigi and Cinerama's South Seas Adventure (both Broadway two-a-days as well). Fox aimed for Christmas general release and abandonment of hard-ticket policy. The roadshow experiment, what Fox called "a trial balloon," failed for blunt reason that The Roots Of Heaven was not an attraction to justify inflated pricing on reserve seats. 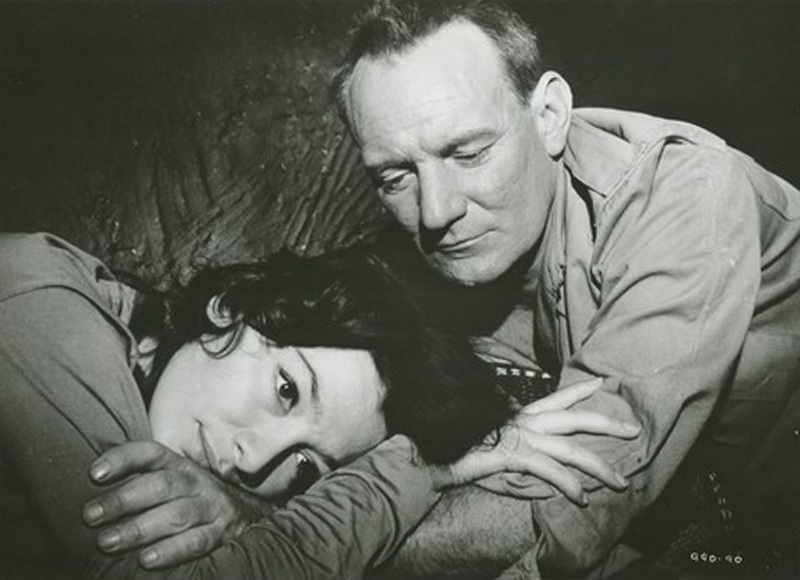 Neither was The Barbarian and The Geisha, reason good as any why 20th bent to the will of exhibition and offered both these John Huston letdowns to wider distribution without strings. For himself, Huston pitched in where possible, giving trade interviews amounting to travel lectures minus slides. 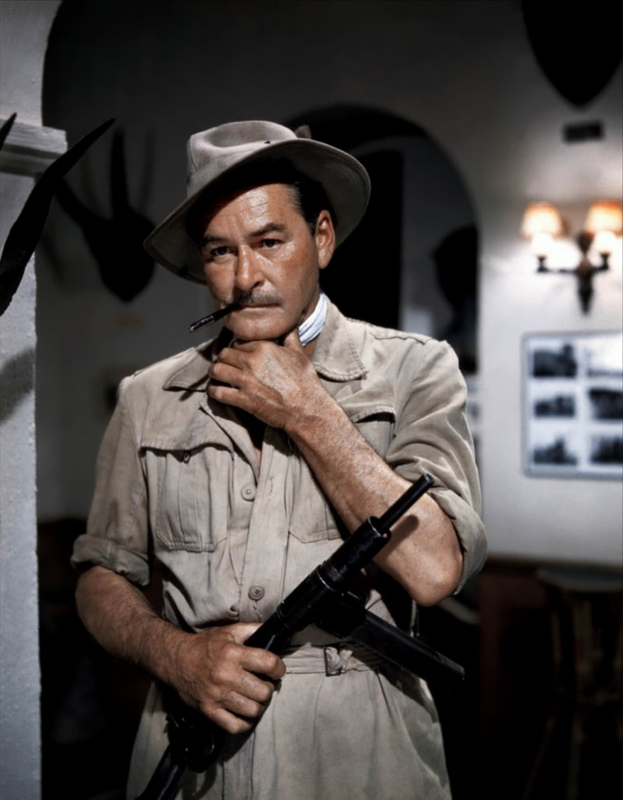 Hazard of Africa filming enlivened sit-downs --- a few suggested drama behind cameras was far more compelling than what Huston put in front of them. Anyone who went to Africa to make such a movie in the future would be very foolish, said the director. The risks are far too great. 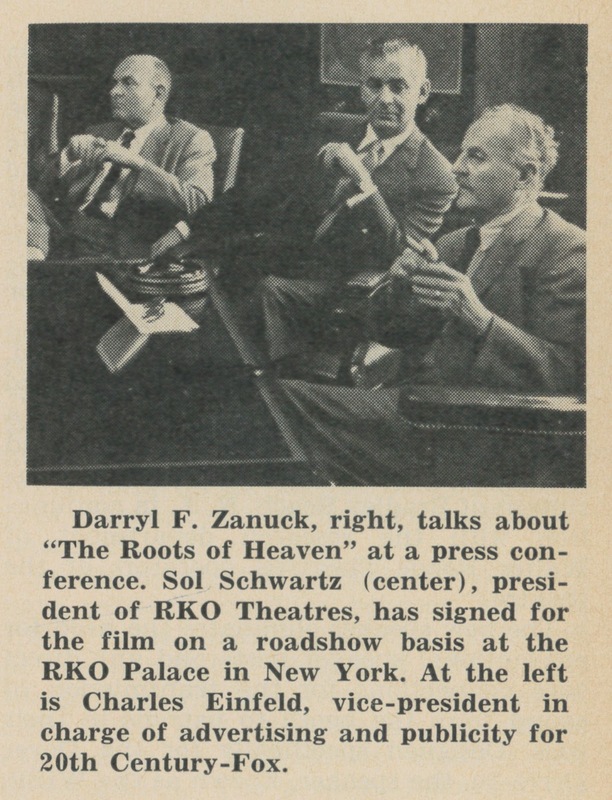 Zanuck frankly wished they'd never made the trip, a punk finished movie being small compensation for hellish location ordeal (DFZ: I would never do it again). Zanuck had been bullish going in. It has majesty written all over it, said he prior to the Palace opening. While it runs two hours, twenty minutes, it is over before you know it. Others disagreed, thus the reel-or-so haircut DFZ gave The Roots Of Heaven. Distributors Complaining About Length Of "Big" Pix, observed Variety about shows which run around two hours and drag in the doing. Age old conflicts between East and West Coasts (selling vs. production)were nothing new, the former pointing up fact that an extra 15 or 20 minutes can add up to a tidy sum when a company puts out 300 or more prints. Maybe it was time to reign in creative indulgence gone overboard. Directors of renown are being given more leeway on the (West) Coast today under the independent setups, and are reluctant to cut their footage, particularly if a lot of work was involved getting it. 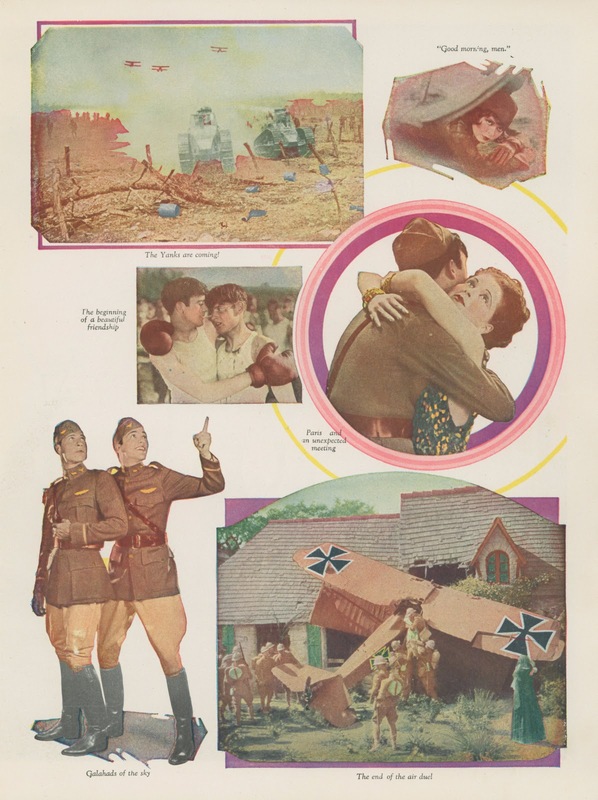 The trade referred specifically to offenders then on view, including Inn Of The Sixth Happiness, The Big Country, and The Buccaneer, as well as The Roots Of Heaven. From a roadshow that tanked, Fox let air out of promoting tires with a general release pressbook of only twelve pages and fairly dispirited ones at that. Did they really expect small venues to hold their own "Red Carpet Premieres" as suggested? And it wasn't news that "prestige" meant little in the hinterlands. 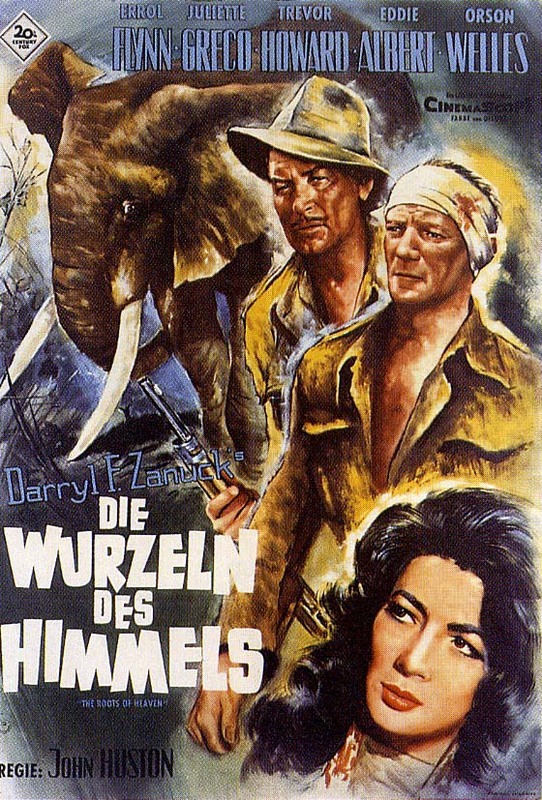 There was a half-hour production film Zanuck had done in Africa that was network-run by ABC in November, then made available gratis to showmen who could place it on local stations (how many bothered, I don't know --- are there prints of this subject around?). Roots was, not unexpectedly, nixed in the stix. 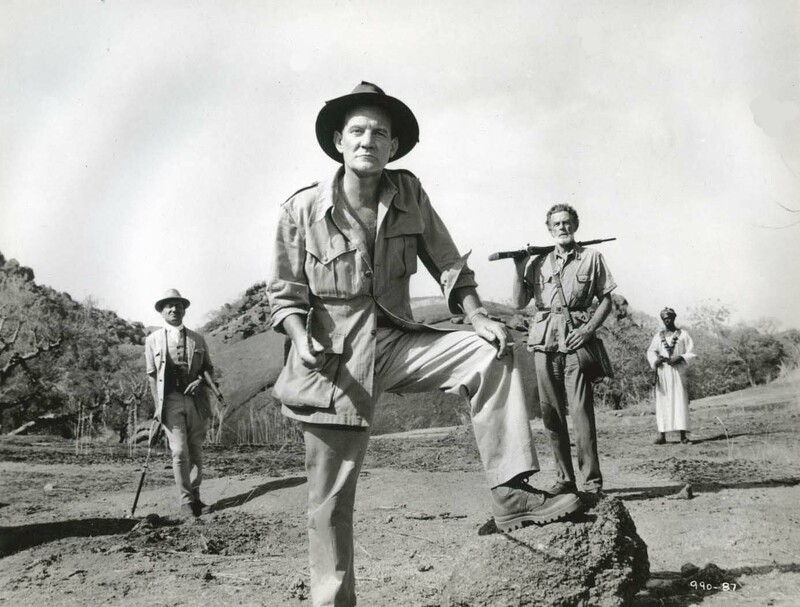 Small towns wanted Tarzan or Bomba pacing jungles, not Trevor Howard on elephant guard duty, and the film's pretentious title gave action fans little to conjure with. 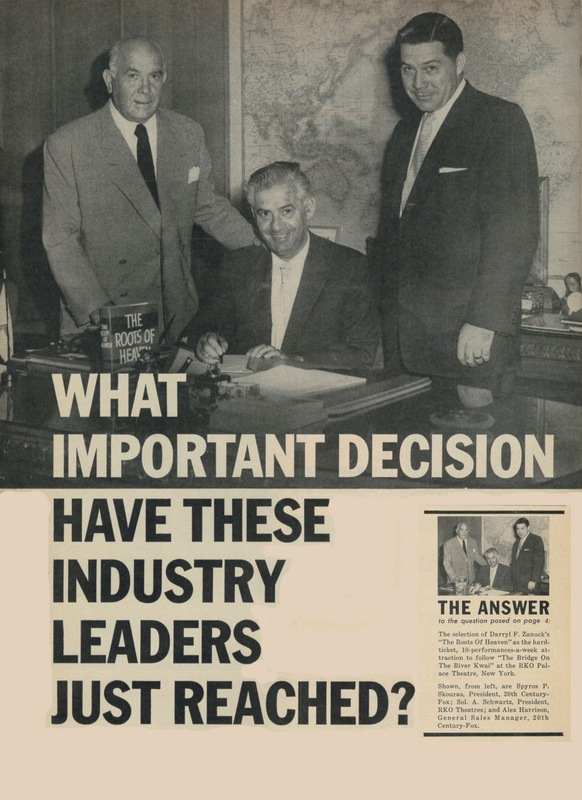 Distributors concentrated more and more on urban centers for grosses by 1958, but rural situations were essential to drag product into profit, and The Roots Of Heaven was distinctly not their preferred bill of fare. 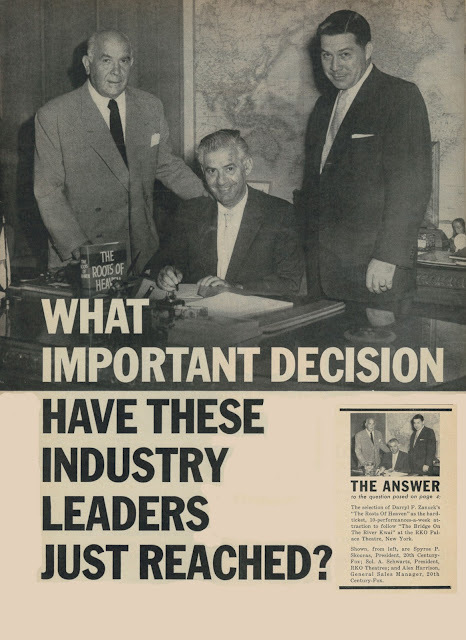 Trades by mid-1959 revealed Roots' struggle to crack its first million in domestic rentals, a humiliating figure Fox confirmed, though everyone by then knew it was their biggest loss from what had been a rotten year (The Roots Of Heaven crept over a foreign rentals threshold to $1.1 million). 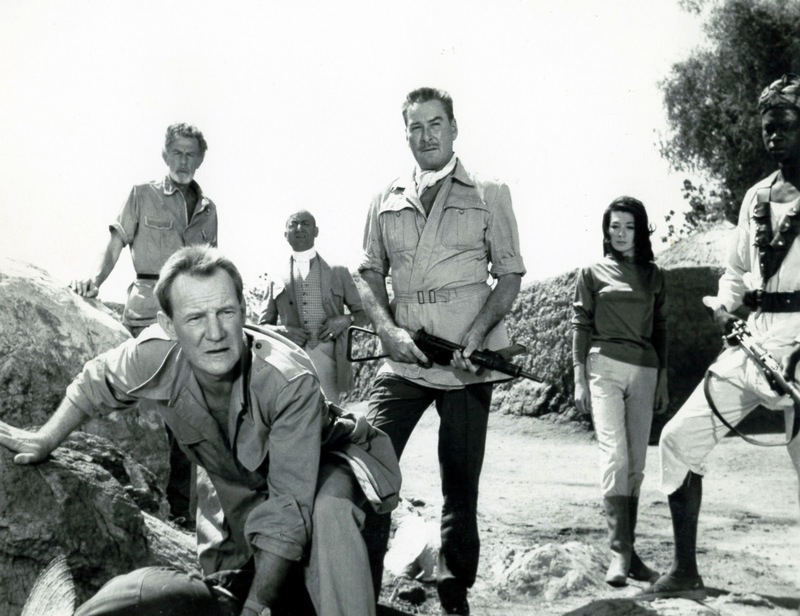 1963 brought network premiering on NBC --- they'd broadcast nearly the whole of Fox's 50's backlog on Saturday, and later Monday, primetime movies. 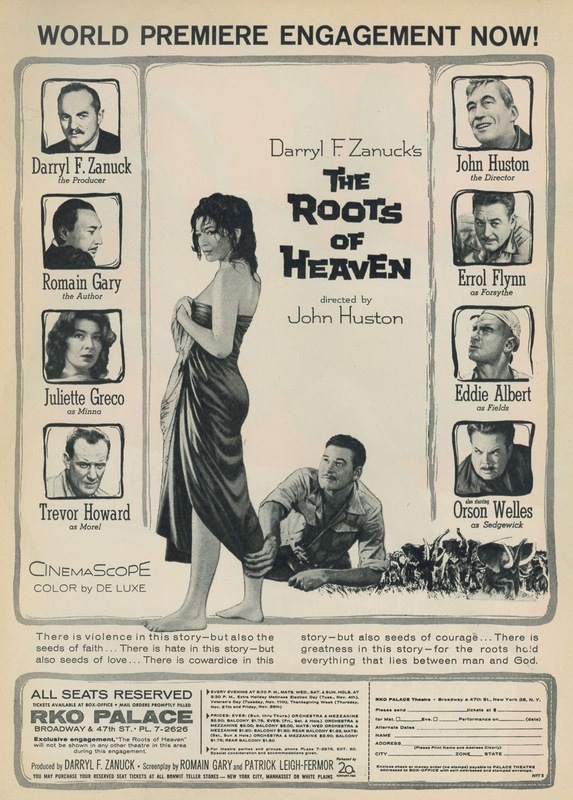 The Roots Of Heaven was syndicated by September of the same year with forty-five other 20th features just off NBC rotation. 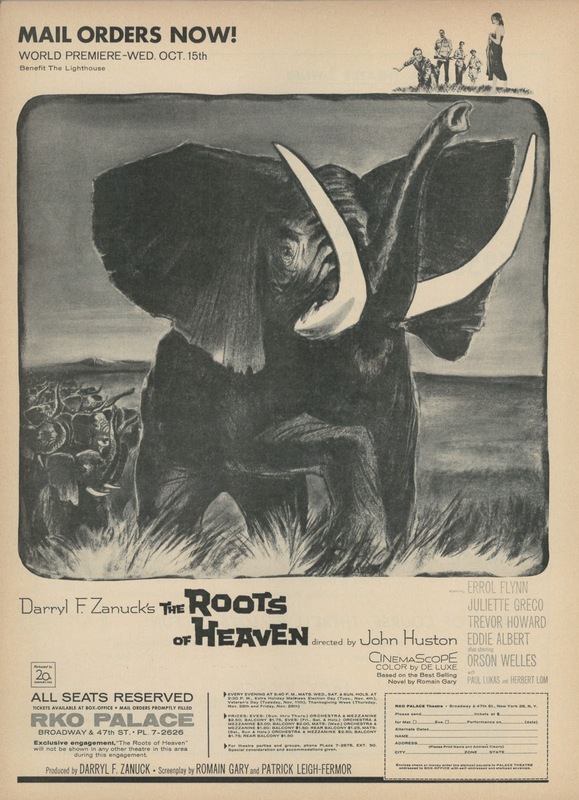 Whatever values Huston derived from Africa filming was utterly lost here --- it's no wonder The Roots Of Heaven got so little respect among modern critics. Twilight Time changes all that with a stunner Blu-Ray that merits critical rehab for this neglected show, being but one of a choice series of Fox and Columbia titles they've put back in the spotlight. 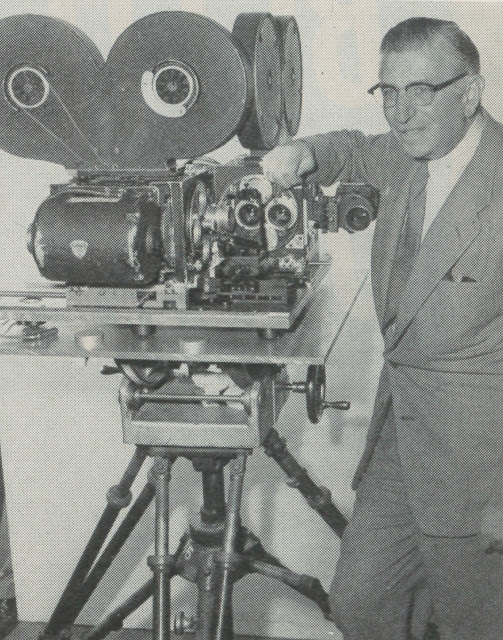 Arch Oboler felt the success he’d given the motion picture industry should merit a medal at least. Lacking of wisdom in that industry had forced him to operate without proper funds, under constant tension, and in an atmosphere of ignorance and disparagement, said Oboler. 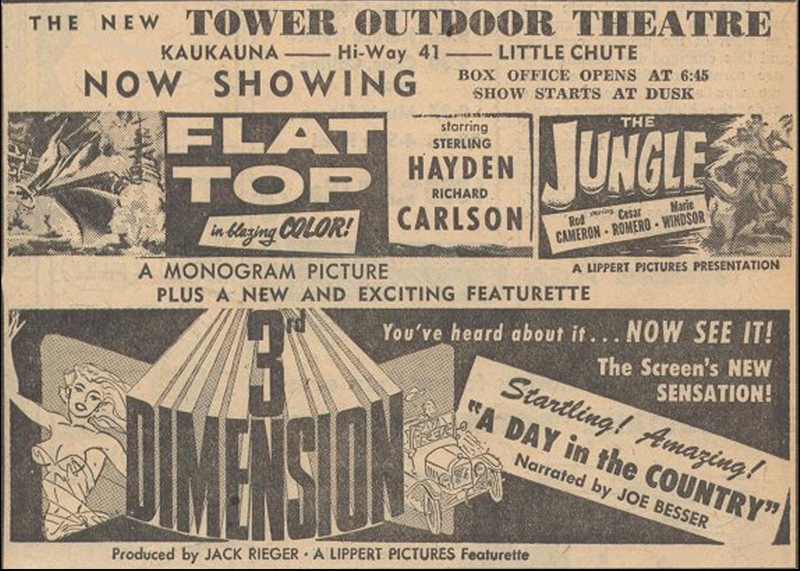 Standardization of three-dimension must take place immediately, according to the producer, and companies had best beware of giving the public anything less than perfection in the production of 3-D features. 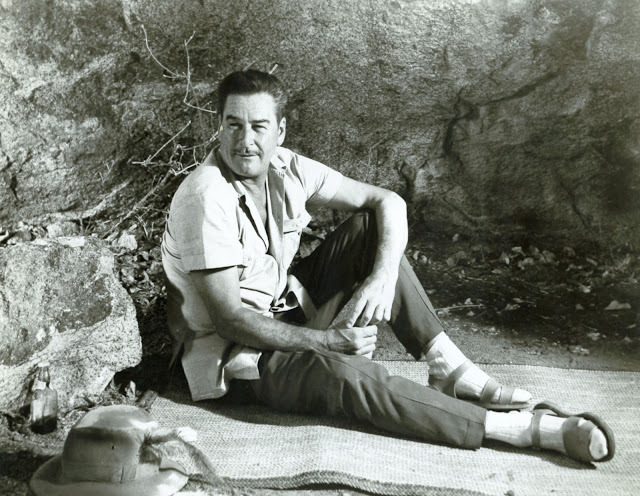 He was convinced that audiences would reject Cinerama and other widescreen processes once they’d experienced true depth, and that the next five years would be golden ones. 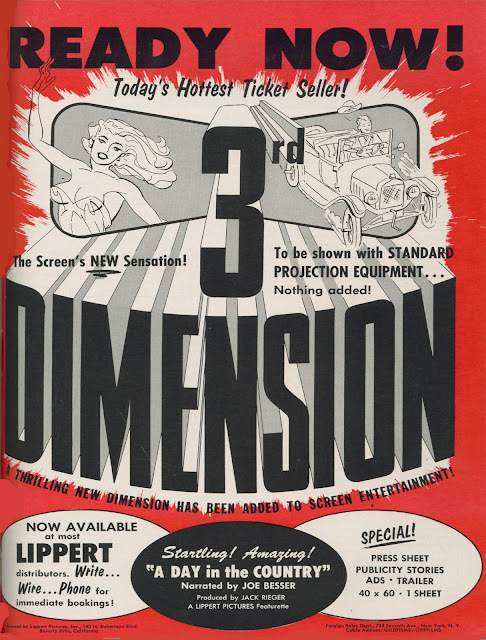 Within that period, all films would be presented in three-dimension, according to Oboler. Judging by action at turnstiles, few would argue Oboler’s point, but was this revolution really built to last? You’d think distributors were squirreling ahead for those five years based on orders Polaroid received for glasses. 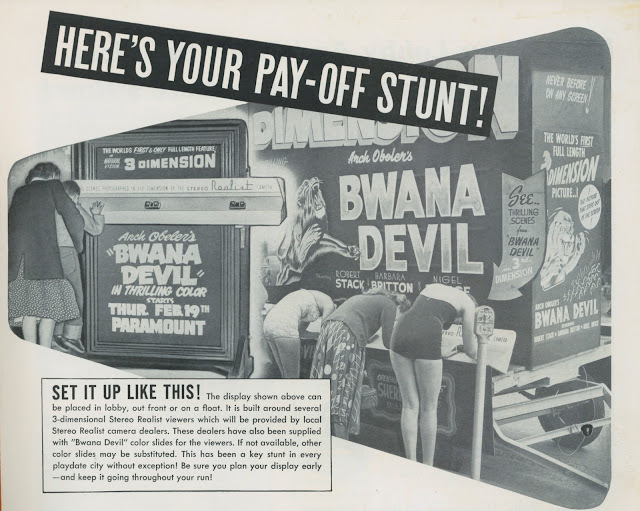 Twenty-five million was the number needed as of January 1953, with Bwana Devil the only feature in release. Cost of each pair was ten cents. Polaroid stock went up eight points within that month. All sorts of problems came with donning spectacles, however. 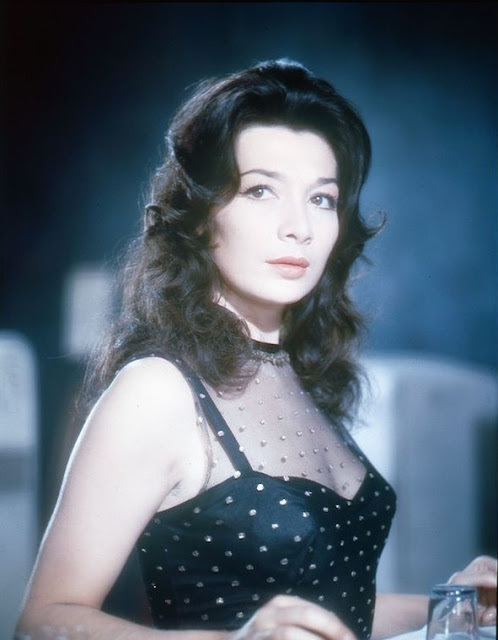 Ones supplied for Sol Lesser’s Tri-Opticon (now renamed Stereo-Cine) were plastic-framed and reusable. It was said these were dipped in antiseptic solution before transfer to the next patron. Natural Vision’s cardboard counterpart was more fragile and of a throwaway variety. 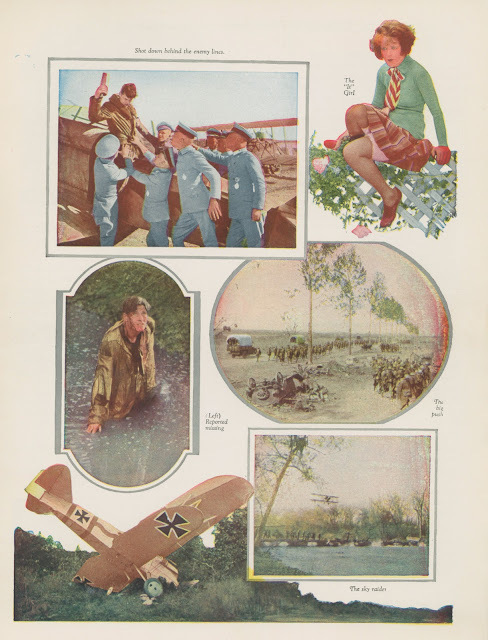 Patrons in many situations were encouraged to take these home as souvenirs. A few showmen were reputed to have fudged on disposal of the specs, collecting ones discarded and handing them out to incoming audiences as a cost-saving measure, even as community and state Boards Of Health became more vigilant in monitoring proper issuance. Ticket takers were trained to advise everyone not to put fingers on the Polaroid lens. 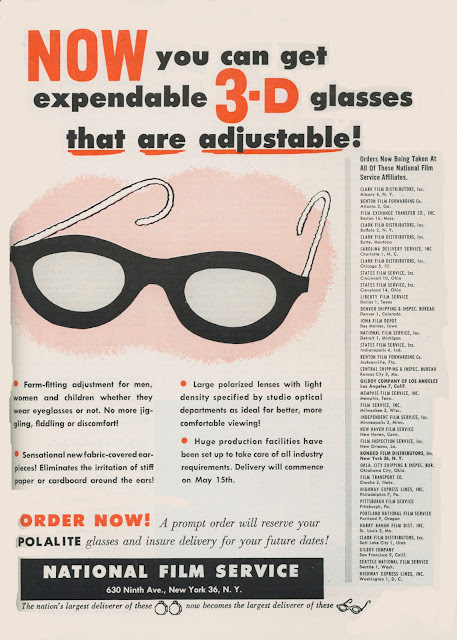 Those already wearing spectacles were issued rubber bands in some venues to adjust 3-D glasses over their own. Others could modify the frames to fit existing ones, even as flimsy cardboard sometimes tore or bent in the effort. Careful handling was needed for customers showing up with vision handicaps that rendered impossible their enjoyment of 3-D. Employees had to be trained to tactfully approach those with crossed eyes, one eye, and/or other myopias. 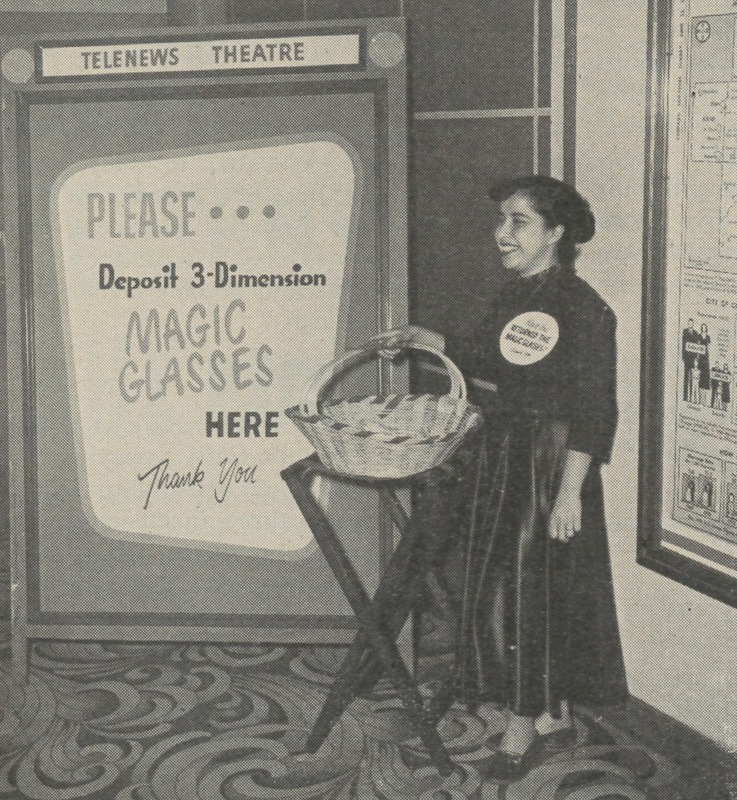 One showman had an optician friend who informed him that only twenty percent of the population possessed equal vision in each eye, suggesting a possible tie-in that encouraged those who couldn’t fully enjoy 3-D to arrange appointments with his office following the show. Be sure you analyze the matter of such values as exist in “negative” advertising cooperation --- attempting to make the ad copy read to the picture’s advantage --- before going in for optical tie-ups, was that exhibitor’s warning to the wise. Even those eagle-eyed among patrons were challenged by oft-too-dark projection. You really had to pour light on 3-D for it to register properly. Some estimated a sixty to seventy percent loss of illumination between the projector’s output and what viewers saw. Souping up the arc could generate excessive heat in the aperture area, causing damage to the machinery and the film. Traditional style black masking around the picture would distort as well. Everything was happening so fast with this fad as to make it difficult to address problems in an orderly manner or get trained help needed to correct them. Boosting projection equipment up to speed proved insurmountable for many theatres. Belief that accessories needed to present 3-D could be readily had from their usual suppliers left management unprepared when harsher realities became clear. Projector bases had to be moved in many instances so that larger magazines could be installed to hold oversized reels used for Natural-Vision. Running two machines at once for synchronization of left and right prints required more electrical power to generate amperage needed. Special wiring was essential and that meant bringing in licensed electrical contractors. This led to compliance issues with power companies and various city ordinances. A screen congenial to 3-D required buying one new (estimate: $450 minimum) or retrofitting what you had. The latter required a delicate spray-painting job. Done right, it might work. Bungled, as these rush efforts often were, made 3-D and conventional shows look worse for the "upgrade" ... all this and more such disruption for the privilege of running the one available depth feature, Bwana Devil, albeit with a promise of more, but how many … and when? Exhibitors as of January 1953 had to wonder if they were being led down the garden path to a three-dimensional briar patch. 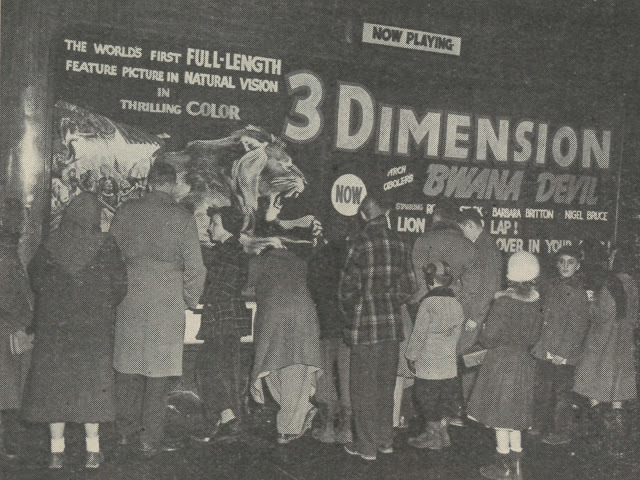 People attended initial 3-D shows like they’d go to see exotic species of animal on display. It was a novelty that lured out sober citizens who’d not otherwise dream of patronizing a film called Bwana Devil. 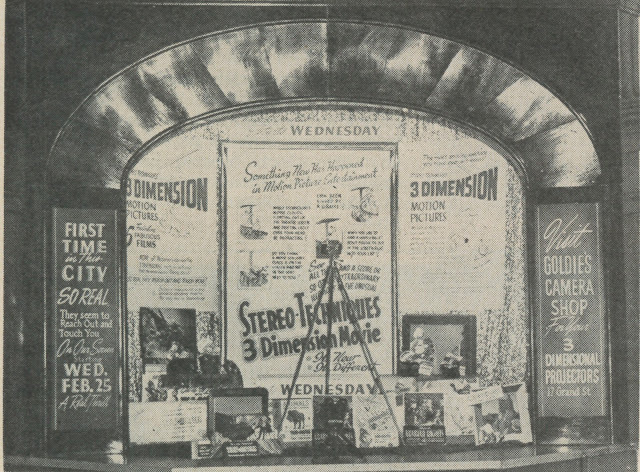 The bigger elephant in corners (or rather, booths) of each theatre was odds against smooth presentation. Single projectionists were all of a sudden performing a two-man job. Every 3-D print coming through the door was twins, and both had to play in to-the-frame perfect synchronization. Catch one sprocket in your mechanism and suddenly there are a thousand malcontents removing their cardboard glasses to glare back at you. Defusing land mines was safer work in 1953. Audiences had a right to expect an orderly program, especially with tickets selling at advanced prices for Natural Vision shows. 3-D jumping the track was not something you could fix with a lick and a promise. These were no five-minute waits for management to re-thread. A left or right side breakdown sent the whole bag ker-flooey, and fixing that needed cooler heads than most houses could summon. More than one audience spent their bits for half a show, if that. Still, it was something like nothing they’d seen before, and social capital could be acquired by youngsters especially who longed to experience 3-D and brag about it to their friends. A harried industry could only address snafus as they occurred, all the time knowing that if these didn’t somehow abate, their dream of a boxoffice redeemer-in-depth would soon be a lost one. Three-Dimension became a catch-all term for any process that expanded our screen vision. 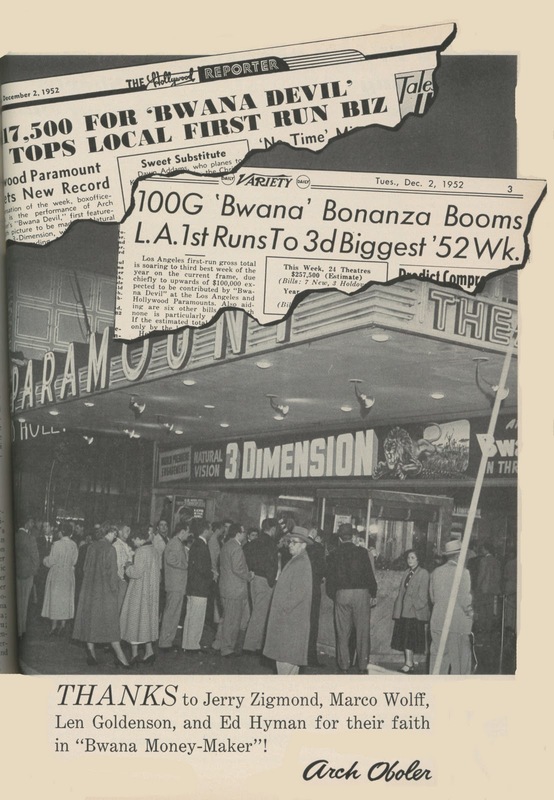 Cinerama was getting its legs as Natural-Vision emerged and backers announced three-panel's expansion to twenty-five theatres for 1953. Projectionist unions struck in Pittsburgh to get two operators into booths running Bwana Devil. The three-dimensional films mean more work and take more skill to operate, said an AFL spokesman. Exhibitors realized one man would be hard pressed to coordinate interlocked machinery, but generally used lone staffers to project unless forced to do otherwise. 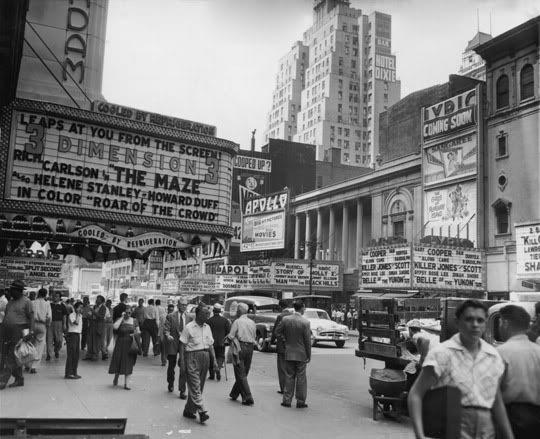 Massive coinage at theatres hosting Arch Oboler’s freak hit was balm to disarray 3-D wrought upon house procedure. The Chicago Theatre took a smash $44,000 in its first three days of Bwana Devil, even with Sol Lesser’s competing Tri-Opticon show continuing to play next door at the Tele-News. It was the perfect backdrop against which Oboler fielded bids from major studios to take over distribution of Bwana Devil. 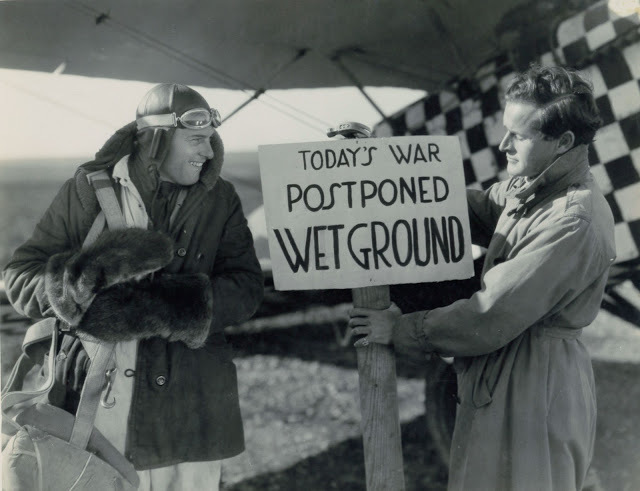 By January’s third week, there was a dead heat between United Artists and producer Edward L. Alperson for those marbles. A now re-titled Here Is Tri-Opticon widened in the meantime to Boston and Denver. Nationally circulated magazines were featuring 3-D and showmen everywhere were getting calls from eager patrons. When would hometowns experience the screen’s New Sensation? Hollywood’s Natural Vision Corp. geared up to equip theatres for 3-D presentation. 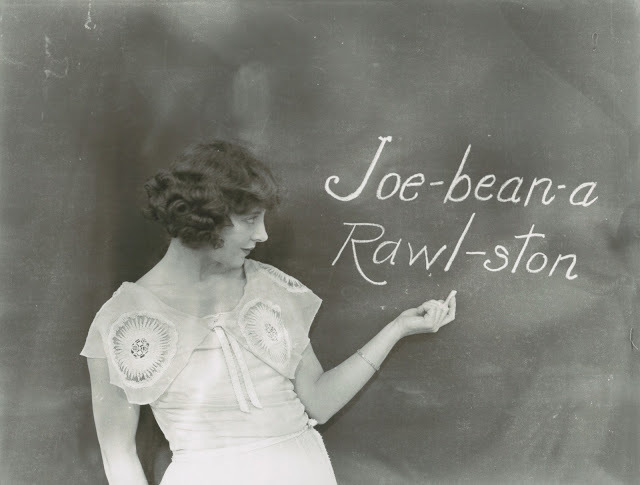 There wasn’t much rivalry for their peculiar sort of expertise, so demand was booming. Studios entered the fray with announcements of 3-D to come. MGM prepared Arena for lensing in Arizona the following month, while Columbia and Warners forged ahead in what was looking more and more like a race to the wickets. January 31 was a key date heralding the revolution. 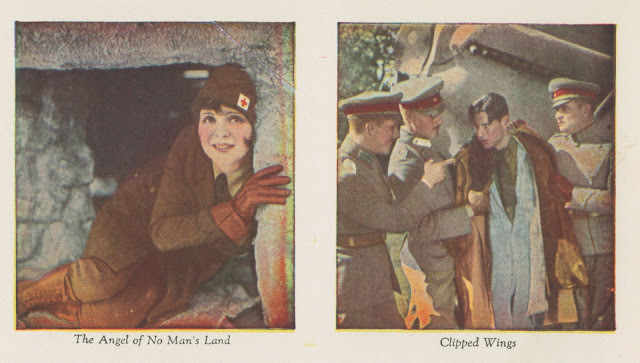 Virtually all the trade magazines devoted multi-pages to exploration of the whirling-est dervish movies had experienced since Jolson talked. 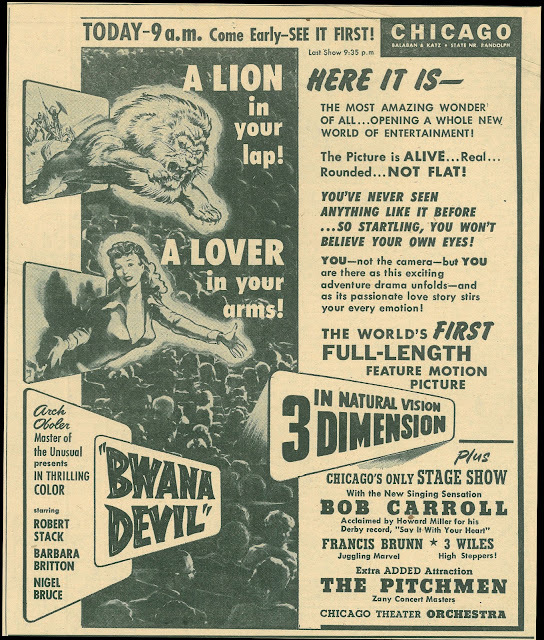 United Artists took the Bwana Devil pennant during that month’s final week. Arch Oboler and his associates received a half million up front (among these was Bwana star Robert Stack’s mother, who had invested $30,000 in the film), with another $1.25 million guaranteed later from the film’s receipts. This was a buyout of the negative and all worldwide revenue to come. 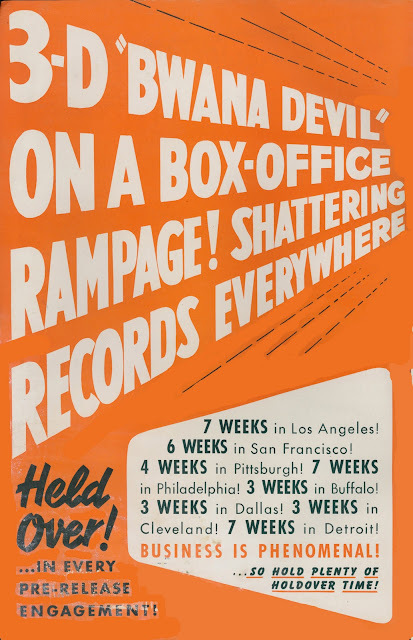 Broadway's Loew's State Sees It's Single Week Record Broken by Bwana Devil. They had to Stop Selling Tickets Four Times on the Pic's First Weekend. UA’s sales force immediately went to work securing dates while interest was peaking. An immediate concern for the new distributor was shortage of prints and viewing glasses. UA had taken charge of 230 prior bookings in 225 cities and was reporting an avalanche of inquiry about playdates. Exhibitors wanted 3-D yesterday. 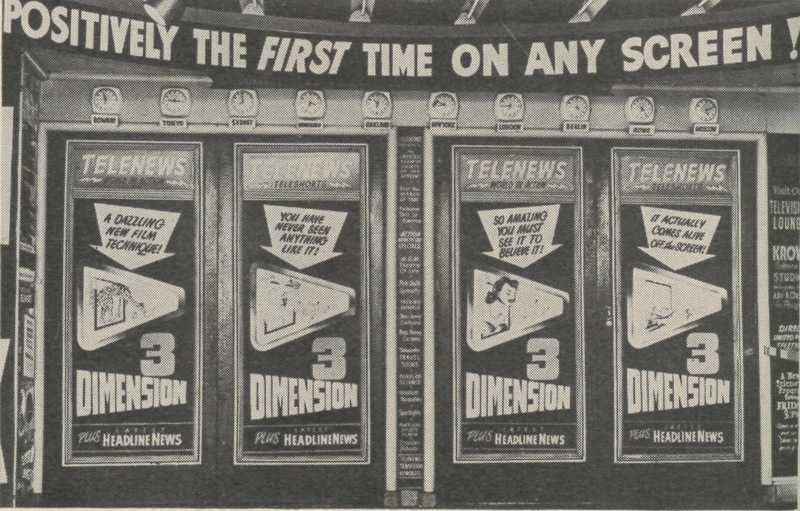 There was no precedent for such anxiety to put a new attraction on screens. What UA lacked were personnel with knowledge and expertise about the exotic process they were now handling. 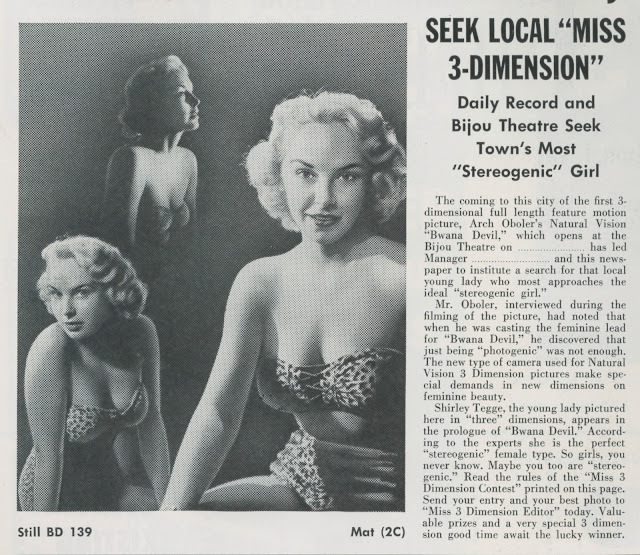 Arch Oboler had long been a proponent of 3-D and something of a visionary in his pursuit of feature-length depth photography. He had made a remarkable success of distributing Bwana Devil independently and securing dates in numerous first-run theatres. Oboler was tight with makers of Stereo-Realist slides and viewers, many of whom participated with tie-ins and window displays. His specially designed 3-D preview boxes attracted much attention in lobbies and out on sidewalks, while three million or so members of a thriving Stereo-Realist hobby group knew Oboler as a friend among their number and respected him. The independent producer even arranged for retailers to carry a special set of forty 3-D slides from Bwana Devil that collectors could enjoy on their own stereo viewers. 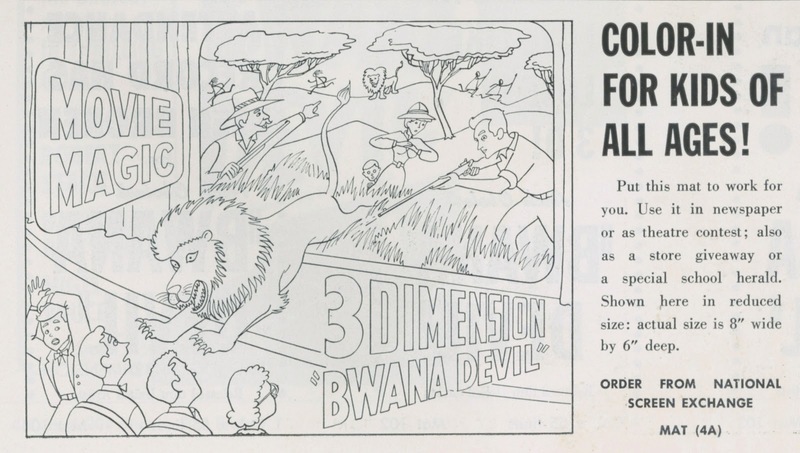 Much of this hands-on enthusiasm that Oboler brought to his campaigning would dissipate once Bwana Devil was sold to United Artists. Part Three and Conclusion on 3-D HERE.